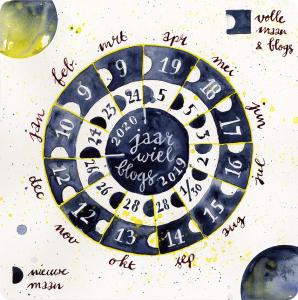 The latest full moon I wrote about this new project I’m on with Rosalie from ZieCoaching. 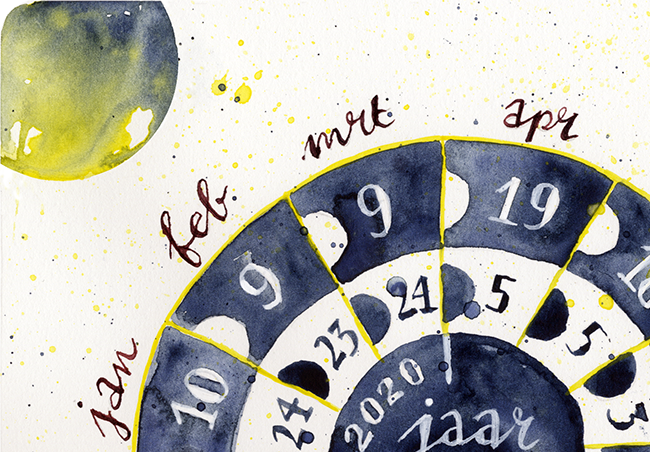 Every full moon we are dedicated in writing and drawing a new message for you in relation to the time of the wheel of the year. Today it has been two weeks since our first post and since the latest full moon. This morning the moon is new and climbing up to be full again on April 19th. To let you know when it is full moon and when it is new moon, I’ve made you a lunar calendar. In which you can also see when we will post a new blog. See you at the next moon! Click on the image below and download it from there.